The Tale of Peter Rabbit was first published by Frederick Warne in 1902 and endures as Beatrix Potter's most popular and well-loved tale. It tells the story of a very mischievous rabbit and the trouble he encounters in Mr McGregor's vegetable garden! 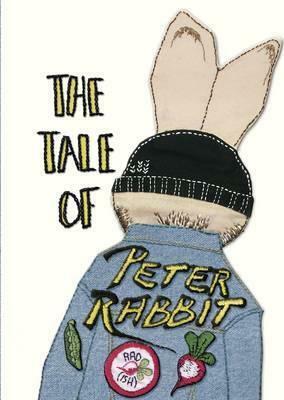 This edition is part of a collection of five books designed by iconic British and Irish fashion designers to celebrate the 150th anniversary of Beatrix Potter. The Tale of Peter Rabbit is designed by Cats Brothers, an award winning ready-to-wear luxury knitwear/street-wear label with a crafted approach to design, making clothes that are fashion forward and always with a sense of humour - the garments are as fun to wear as they are to make. They recently won Young Designer of the Year 2015, Olympus Pen Scottish Fashion Awards; Scotland Re:Designed Womenswear Designer of the Year 2015.